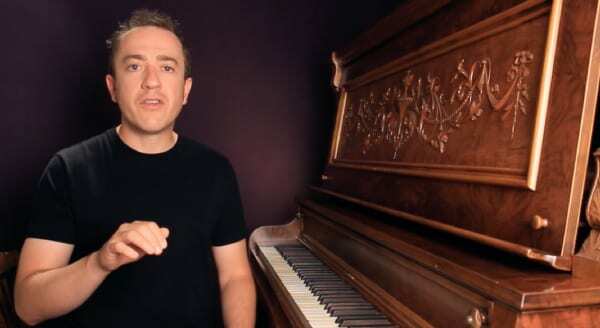 Scales, voicings, rhythmic development, finger independence, upper structure harmony – all of these concepts are examined and demonstrated brilliantly by Geoffrey. Whether you’ve been playing jazz for two years or two decades – players of all levels can benefit from learning and applying the concepts Geoffrey puts forth. Don’t just study Geoffrey's concepts. Experience the solo piano concepts, phrasing, voicings, feel, solo and thematic development first hand with our Living Notation technology. Follow Geoffrey's solos in real time with our interactive notation system. 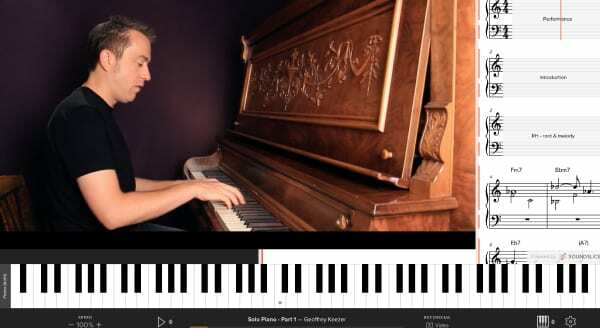 It's never been easier to get inside the mind of a master pianist. If things are moving too fast, slow down a section with the speed control - the pitch always stays the same and you can digest at an easier pace if needed. Or, loop a section with our easy drag and loop system. 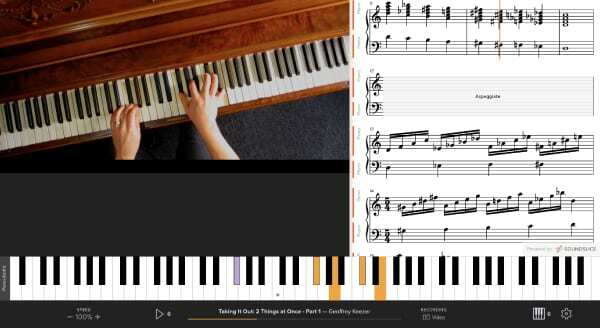 There are plenty of notated musical examples to help you along the way, as well as multiple viewing angles for you to just watch and imitate. Includes downloadable PDF of comprehensive 143-page workbook that is the perfect supplement to the course. Spiral bound version is available for purchase. Geoffrey’s compositions have been commissioned by the Mainly Mozart Festival, Art of Elán ensemble, Saint Joseph Ballet, Zeltsman Marimba Festival, Carnegie Hall Jazz Orchestra and Scottish National Jazz Orchestra. His music can be heard in the films "What Happens in Vegas" and "Inhale", and in numerous TV shows including "The Young and the Restless" (CBS)”, "Parks and Recreation" (NBC), "House of Lies" (Showtime), “Casual” (Hulu Original). With his highly regarded discography, unique compositions, and acclaimed performances in a variety of configurations, multiple GRAMMY®-nominated pianist Geoffrey Keezer commands the attention typically reserved for the living legends of jazz. A native of Eau Claire, Wisconsin, Keezer was playing in jazz clubs as a teenager, holding down the piano chair for Art Blakey at age 18, and touring in the company of Ray Brown, Joshua Redman, Art Famer, Benny Golson and Barbara Hendricks in his 20s. 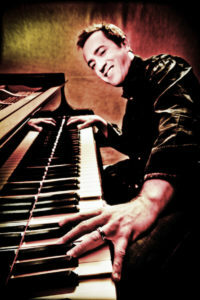 More recently he has toured with Wayne Shorter, Dianne Reeves, David Sanborn, Chris Botti, Sting, Joe Locke and Christian McBride; produced and arranged three GRAMMY®-nominated recordings with vocalist Denise Donatelli, and released a series of albums drawing influences from Hawaiian, Okinawan and Afro-Peruvian folk traditions. Geoffrey’s 2013 solo piano release, Heart of the Piano (Motema Records), seeks to redefine solo jazz piano as a personal and interactive showcase of melody, energy and groove, while his upcoming album “On My Way To You” is a stunning new set of music featuring his working trio with the addition of guest vocalist Gillian Margot. 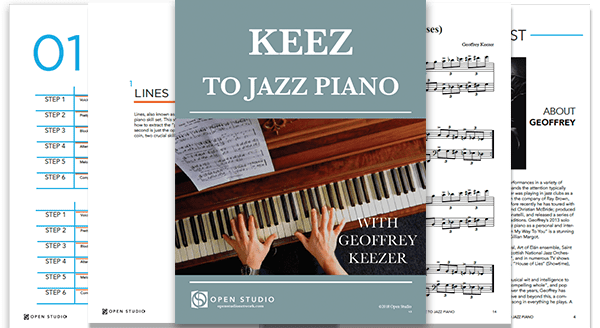 These lessons were originally produced and presented by Geoffrey Keezer on his own website as individual lessons or as small packs of lessons. We’ve incorporated Geoffrey’s presentation with all of Open Studio’s Living Notation platform enhancements and features, including interactive transcriptions and the ability to loop and adjust the speed of the lessons. If you have already purchased any of these lessons as part of the previous offering, contact us for a special discount.